The match VfB Stuttgart-RasenBallsport Leipzig 1. Bundesliga will start today 14:30. Referee in the match will be Felix Zwayer. Team VfB Stuttgart is in the releagtion zone of the table. 16 position. Form team looks like this: In the last 5 matches (league + cup) gain 1 points. 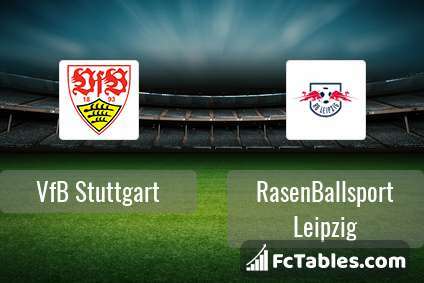 VfB Stuttgart from 6 matches can not beat any rival. 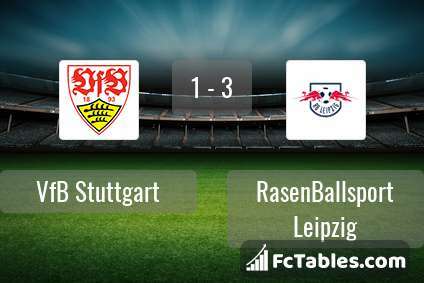 To defend RasenBallsport Leipzig the most demanding players will be Mario Gomez 5 goals, Anastasios Donis 3 goals, Nicolas Gonzalez 2 goals, because this season they scored the most goals for VfB Stuttgart of the entire composition. Most goals developed: Mario Gomez 1 assists, Nicolas Gonzalez 3 assists. Injuries in the team VfB Stuttgart: Dennis Aogo, Timo Baumgartl. The match will not occur Nicolas Gonzalez because they are suspended (cards, etc.). Team RasenBallsport Leipzig is at the top place in the table (4 place). In 5 last games (league + cup) RasenBallsport Leipzig get 10 points. From 3 matches no lost a match. Players RasenBallsport Leipzig in 1. Bundesliga with the highest number of goals: Timo Werner 11 goals, Yussuf Poulsen 10 goals, Jean-Kevin Augustin 3 goals. Players Timo Werner 2 assists, Yussuf Poulsen 2 assists will have to be very well guarded by defenders VfB Stuttgart, because they have the most assists. 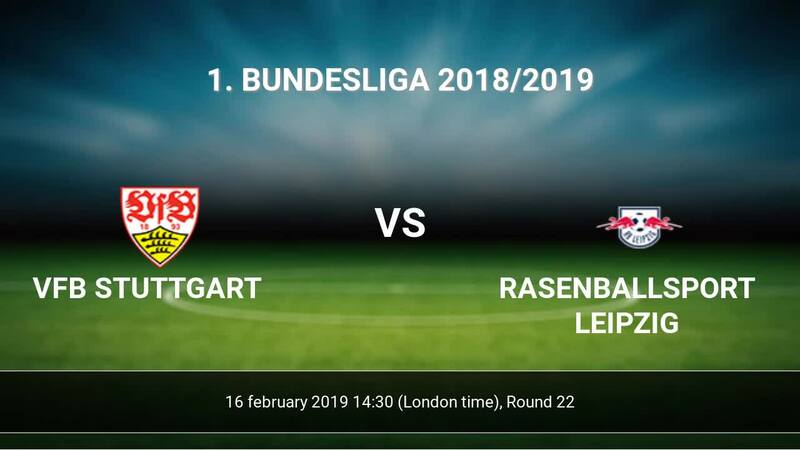 Injuries in the team RasenBallsport Leipzig: Emile Smith Rowe, Dayot Upamecano, Amadou Haidara, Kevin Kampl. Direct matches: RasenBallsport Leipzig won more direct matches. 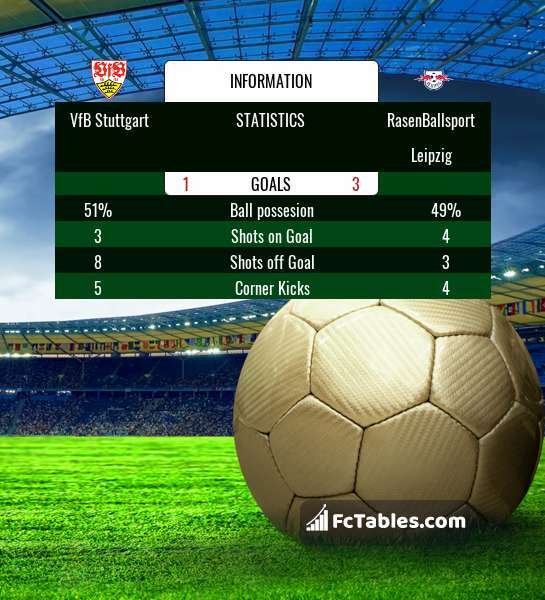 VfB Stuttgart won 0 matches , RasenBallsport Leipzig won 2 direct matches, was a 1 draws. In 0 matches the sum of the goals both teams was greater than 2.5 (Over 2.5), and 1 matches teams scored more than 1.5 goals (Over 1.5). In 0 matches the both teams scored a least one goal (Both teams to score).